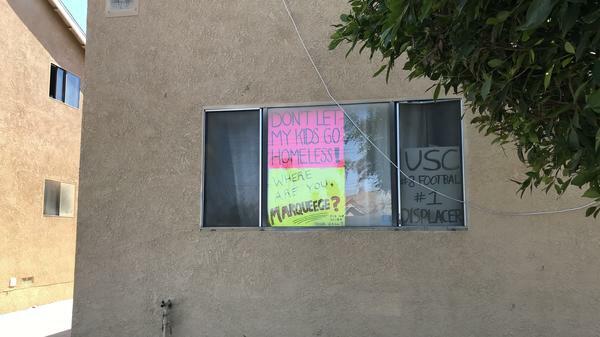 Jimmy Mejia and his wife, Patty Garrido, are being evicted from their South Los Angeles apartment. They're having trouble finding new housing they can afford. Jimmy Mejia and Patty Garrido's South Los Angeles apartment building was sold in late 2017. The new owners are going to redevelop the property, and all the tenants are being evicted. Patty Garrido worries about where her family is going to sleep if they lose their eviction case in court. Los Angeles Mayor Eric Garcetti says that how California's housing crisis is handled will make or break the state. 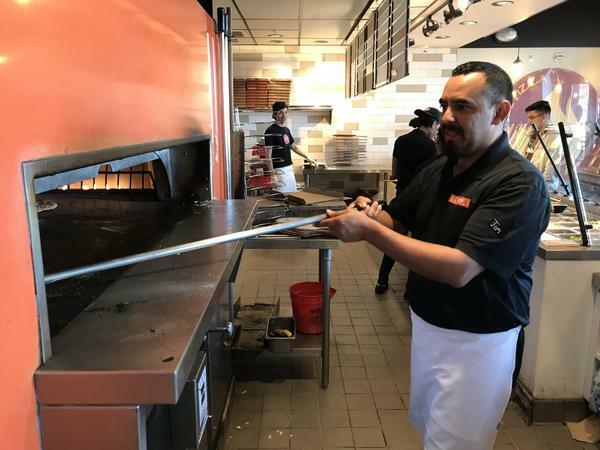 Jimmy Mejia works 50 hours a week as an assistant manager at Blaze Pizza. Mejia and Garrido have four daughters and a fifth on the way. They both work full time as assistant managers of a local pizza chain and pay $1,600 a month to rent their cramped three-bedroom apartment just blocks from the University of Southern California campus. After living in these conditions for the past four years, they found out in late 2017 that the building had been sold and all the tenants were getting evicted. Mejia and Garrido have been frantically searching for new housing in Los Angeles ever since, a difficult task in a city where neighborhoods are exploding with gentrification. "Everything is so expensive," Garrido said. "We saw a house, it was only three bedrooms and it was $3,800." 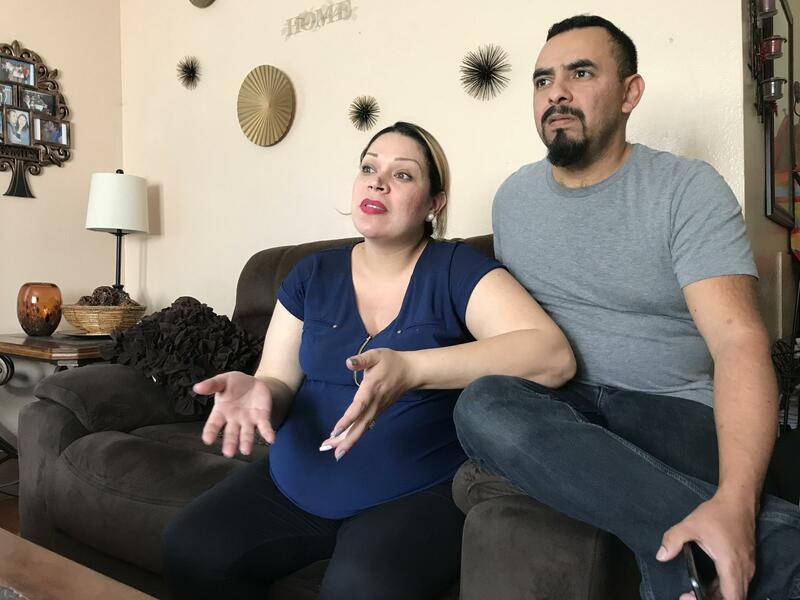 While Mejia and Garrido considered moving 60 to 70 miles outside the city, where the housing is cheaper, their commute would take hours and they have only one car. Plus, it's not easy leaving a place that's home. "We have our church, we have our family, school, my daughter has been in the same area since pre-K," Garrido said. "She's doing pretty good. She's in honors classes, so I don't want to move her." 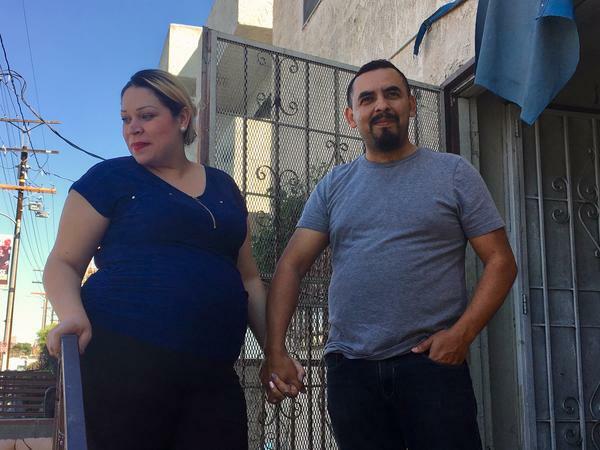 Mejia and Garrido know they're living right on the brink of homelessness, even though they're both employed and can afford to pay their bills and make rent. "Are we going to have to stay in our car for a few days? Are we going to have to get a hotel? I mean, we don't know," Garrido said. Their crisis is not unique. In Los Angeles, 600,000 people are considered "severely rent burdened," which means they spend half their income on rent. More than 8,000 people became homeless here for the first time last year, according to the 2017 Los Angeles Homeless Services Authority report. "We are reaching levels of inequality that we have not seen since the Gilded Age," said Tracy Rosenthal of the Los Angeles Tenants Union. The union helps organize tenant boycotts against things like rent increases and gentrification. Rosenthal says it's time for the government to intervene with a heavy hand. People working full-time jobs are being put out on the streets. A recent Zillow study showed that for every 5 percent increase in rent in Los Angeles, nearly 2,000 people could become homeless. "We have a shortage of fairness, not a shortage of homes," Rosenthal said. Many housing advocates say the quickest fix is rent control, but state law puts tight restrictions on a local city's ability to implement it. Los Angeles has rent control but only on certain units built before 1978. Rent control has long been a touchy political topic in California, where developers are seen as having considerable clout from Sacramento to LA City Hall. "If you want to know California right now, this will make or break this state," Los Angeles Mayor Eric Garcetti said during an interview with NPR. He says the city needs more housing for all income levels. "If we don't solve our affordable housing crisis, at the bottom end, this homelessness epidemic will continue. 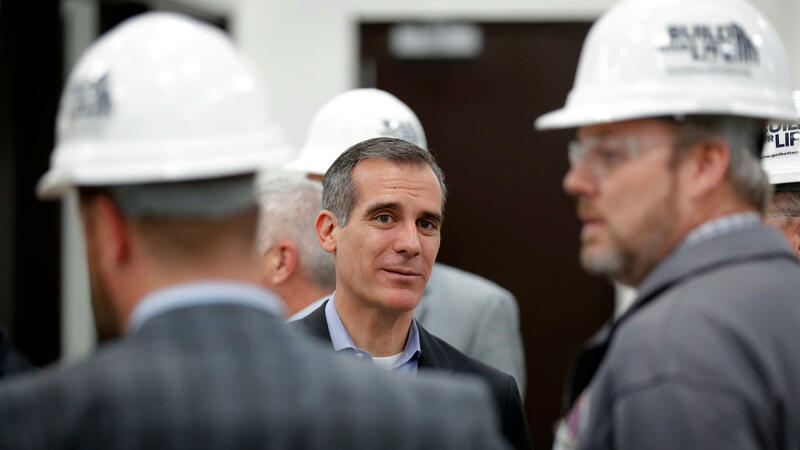 At the top end, the middle class will leave," Garcetti said. Garcetti says reforms are happening, however, after years of political gridlock and budget fights. Voters recently approved a sales tax hike to build more housing and support programs to get people off the streets. There's a new fee on development to pay for new low income housing for people at risk of being homeless. The city has also launched an outreach campaign where workers go door to door to ensure that tenants facing evictions know their rights. "We've never had what we have right now," Garcetti said. "I've never been more depressed walking the street just as an everyday Angeleno, and more optimistic as a policymaker." Still, these changes likely won't do much for Mejia and Garrido's family right now. A couple of miles south of City Hall, Mejia is starting his shift as an evening manager at Blaze Pizza, next to the USC campus. It's not lost on him that some of his customers are the more affluent students who are driving up demand for better housing in this once blighted part of Los Angeles. The restaurant is only about a mile from his apartment. Mejia is stressed and has been losing sleep. "I don't try to cry in front of my wife, but emotionally it's hard for me, very hard," Mejia said as his eyes well up with tears. "I know she cries, too, I know she does, but we try not to do it in front of the kids." For now, all they can do is focus on fighting their pending eviction in court. They have a date set for early next month.